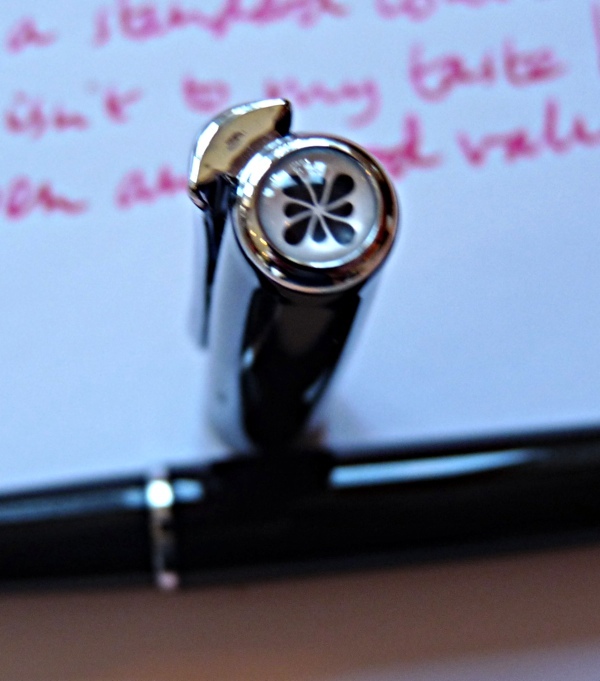 Diplomat Traveller Fountain Pen review – Pens! Paper! Pencils! The Diplomat Traveller fountain pen is a metal barrelled pen that, as far as I know, is available only with a medium steel nib. 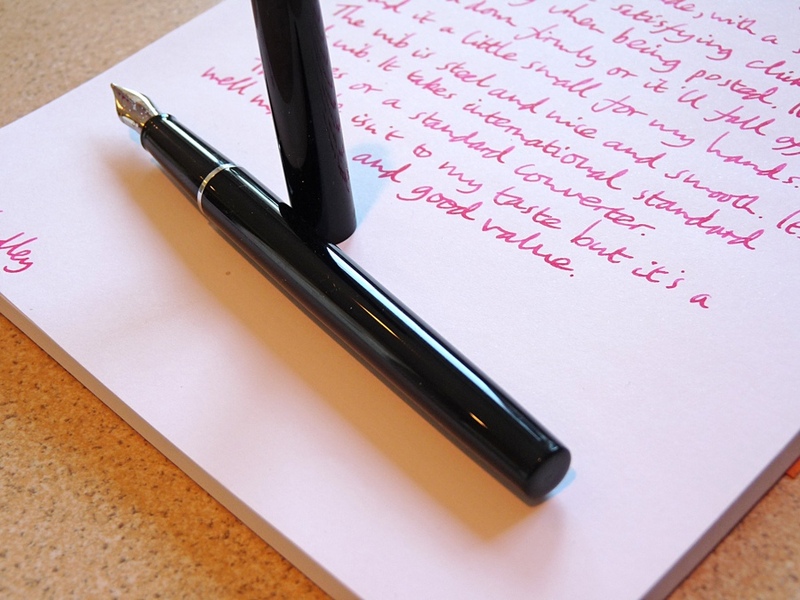 The nib is surprisingly good – I perhaps had low expectations but it’s smooth and very pleasant to write with. It takes international cartridges and my Monteverde converter fitted without any problems. 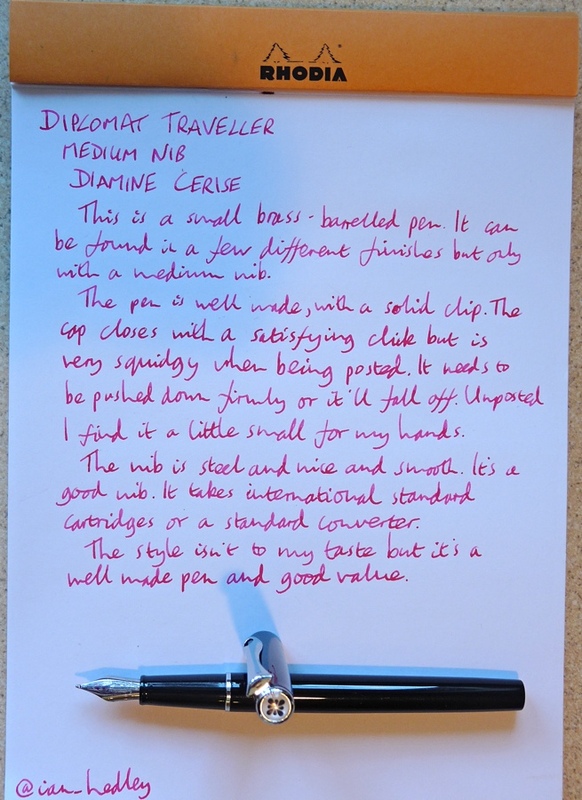 The Diplomat Traveller is a small pen (so you can travel with it, I suppose) but the metal barrel gives it a little weight and it feels robust and well made. It’s available in quite a few different finishes, from stately to garish. The clip does it job (by clipping) and the cap closes with a satisfying click. If you’ve read more than a couple of pen reviews here then you’ll know I enjoy a satisfying click very much. Pens are all about bringing little moments of joy to everyday activities. 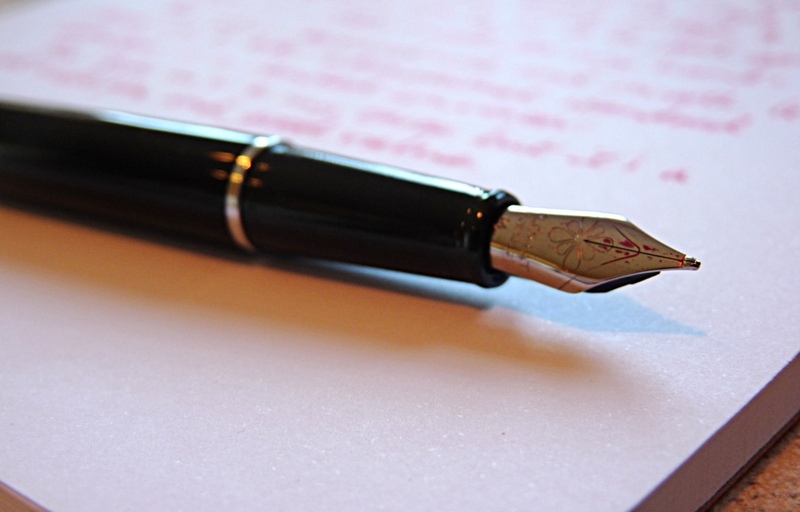 This is a narrow pen, which may be an advantage or a disadvantage to you. Unposted it’s also a short pen. 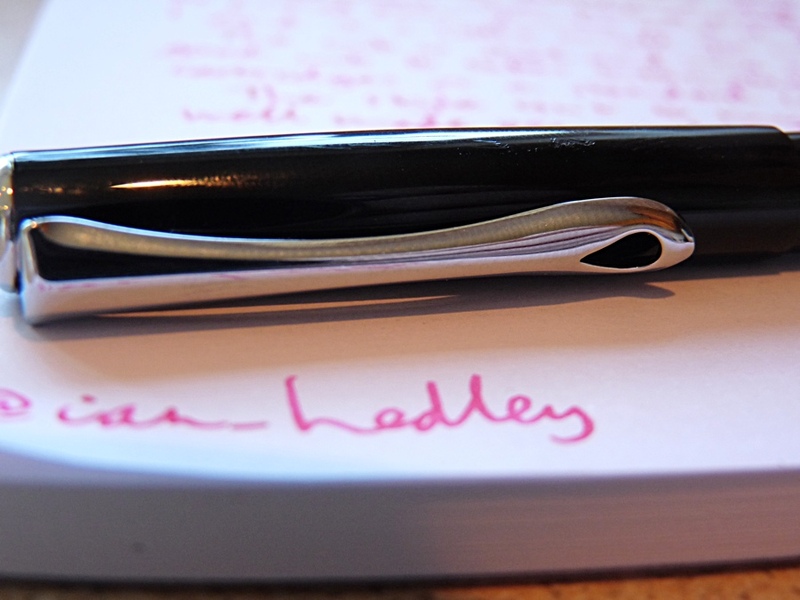 If you have big, or maybe even just not-small, hands then you’ll quickly tire of writing with this pen unposted. It’s a shame, then, that posting the cap does not bring a little moment of joy. Quite the reverse. It’s soft and squidgy and feels like it will fall off. Every now and then, it does, if you haven’t pushed it on just a little more than you think you ought to. Overall, this squishy posting does spoil this pen a little for me. 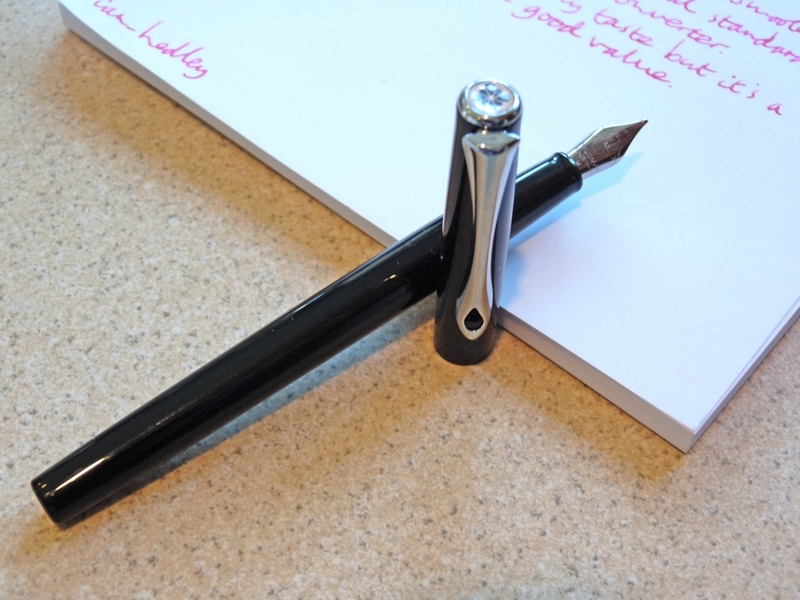 However, it’s reasonably priced (in our world, anyway), well made and has a good nib. If you like how it looks, it’s worth considering. Are you sure that’s the traveler? It looks like the Diplomat Esteem which has a wider body (maybe it’s the camera angle in the photos above). Either way great review. I have both the traveler and the Esteem and I’m convinced that the nibs on those pens are the best in the business. They lay down a very thick line of ink however and I’ve never had any hard starts or railroading. Hi Ravena. Thanks for stopping by. It’s definitely the Traveller, it has a silver ring by the section whereas the Esteem does not. (At least as far as I can tell, I don’t own an Esteem – is this correct?) It’s actually a very slim pen, perhaps the photos don’t get that across. The nib is excellent, as you say. They’re really similar aren’t they. I would prefer the Esteem I think. This one is a little too slim for my tastes, good though the pen is. Mine isn’t particularly springy. It’s every bit as smooth as the M215’s nib but doesn’t glide in quite the same way. I think the M215 is a much better pen but I’d be more comfortable carrying the Diplomat Traveller around as it feels to be more robust. That’s definitely the Traveler, I have the same model in the same colour. Posting is a bit of an issue, but it’s a nice light pen that flows well with the steel nib.